It is a gloomy and wet day here in Tasmania. Oh, and cold! I am sitting in the office at the store refusing to turn on the oil heater as surely it is not that time of year yet? Through the office door I can't help admiring the large French cabinet that we have at the front of the store. I am very sorry in advance, it has been sold and awaiting delivery, just in case you fall in love like everyone else who walks through our doors. 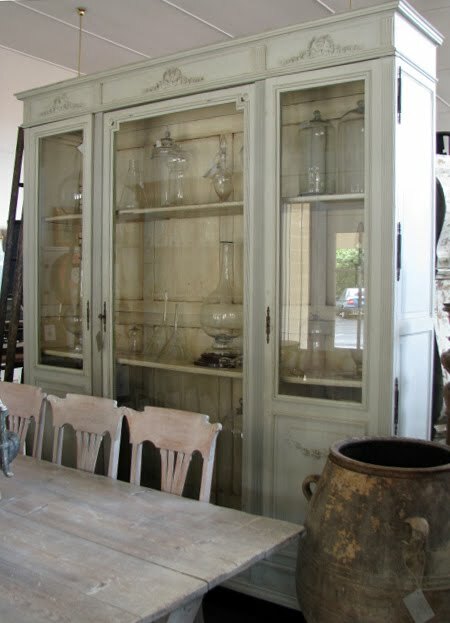 Here is the French cabinet that we have sold. It is painted in a lovely soft grey colour and dates to the late part of the 19th century. It can fit so much inside! It would be fantastic in a large dining room where you can display all of your china and glassware. In fact, I am fairly certain that it will indeed go into the lucky owner's dining room. We currently have it filled with 19th cenury apothecary bottles and domes. If you are wondering how we will move such a large piece, it actually comes apart in to several pieces. The French were very clever with furniture design in this respect. They had big Parisien appartments but the furniture had to go up flights of stairs, hence they made "flat pack" furniture. 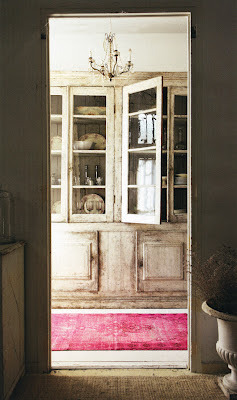 Here is another example of a beautiful cabinet, I am not sure whether it is antique, though. And you may have seen this image before on my blog. I adore it! 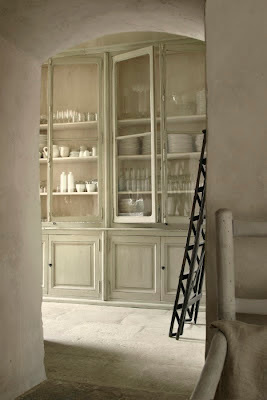 This is what I mean when I am talking about a dreamy dining room cabinet filled with white china and glassware. And lastly, a cabinet for the living room. This one is filled with leather books. What I like about this example is the contrasting colour on the inside with the white exterior. Which is you favourite? I just love free standing storage furniture I even like it in the kitchen so I am very pleased you have sold that cabinet otherwise I may well have been in big trouble!!!!!! We have had a summery Easter here and not before time as I think it is the only summer weather we have had!!!! Hi Tammy. Thank you for your visit and your comment into my blog. I'm happy too for discovering your decor blog so interesting. The cabinet of the second image makes my heart beat faster. SOO gorgeous! I couldn't agree with you more, just one stunning piece of freestanding furniture in a room just lifts it from ho hum to really finishing the room off. I don't think a piece in every room of the house is too much to ask for, do you??!!! 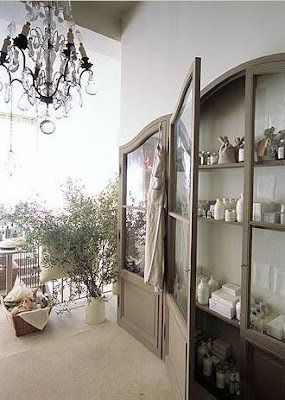 Seeing that cabinet in your shop would have been a real treat, lucky owner! The french have got in down pat with dismantling things to fit through the doors, something that is overlooked even in new build houses. Anyway, cozing up for the night, Stay warm and will call in again soon. Great to hear from you. I had a great Easter, quite a few days off in the end which was unexpected. I hope you had a great one too. 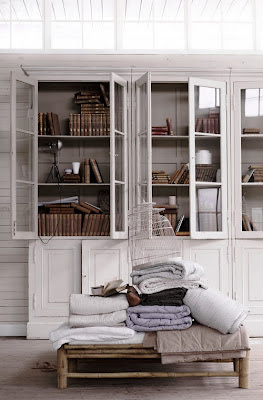 No, for sure, a great piece in every room is not too much to ask for, it beats "built-ins" that is for sure! Why go for a built in wardrobe when you can get a gorgeous French armoire? Have a nice warm night, thanks for stopping in! Cool blog! Thanks a lot for this post.